This is my go-to chocolate chip cookie recipe. I ALWAYS flash freeze a double batch so I can throw them in the oven anytime. 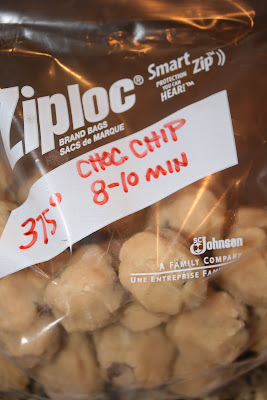 This cookie recipe is one of the first recipes I tried as a married woman so many years ago. It has been one of my trusted recipes in my recipe box. In fact if I had to choose one cookie to eat for the rest of my life, this is the one I'd choose. I'm happy to share it with you because I know it will bring you great joy as well. I originally found the recipe here. 0 Response to "Ultimate Chocolate Chip Cookies"